About four years ago, Team DAR released its first project as a quartet, Genesis. We were okay with the end result, but we knew we needed to do a proper release with all four of us in the studio at the same time. But, things were in a flux. Our engineer at the time was in the process of moving to a new place and started to get on some foolishness. I was in the process of dealing with my misgivings with Raquel and the family. True dealt with everything regarding his family. Ax was growing up and growing out. The only constant was that, when True, Ax, Apollo, and Speed linked up, musically or otherwise, things calmed down and we were all at peace. It was #DARBusiness. 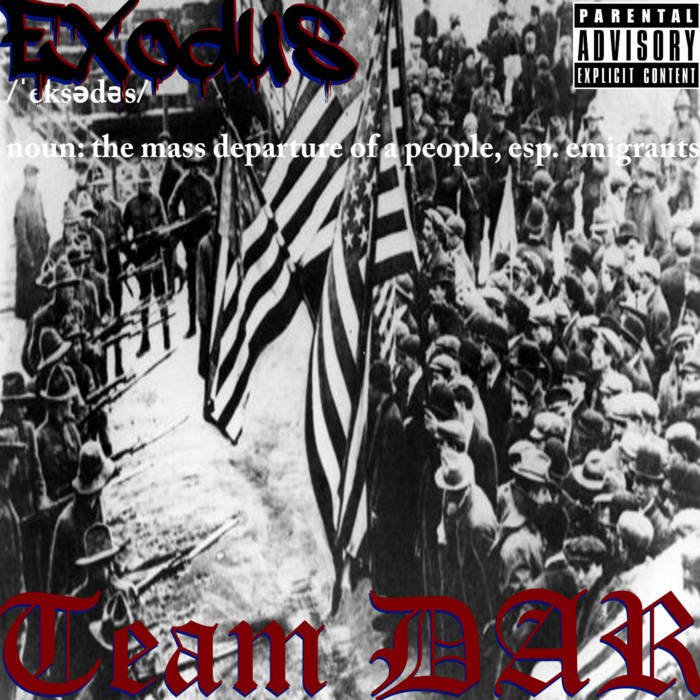 Out of that mindset and that brotherhood, we released Exodus, which was released about two weeks before Mama Young's passing. It was the most-cohesive DAR release, in my opinion, and the most-diverse. It was also, for me, some of the most fun I had recording a project. Every time I went into the booth with the team, it was hard work, yes. But, there was a certain magic around us while we recorded. For me, working on Exodus was therapy. I'd gone through everything with Raquel (stuff that I probably won't ever go fully into detail about, even in music) as I also worked on repairing my relationship with my mom before her sudden death. Before Exodus, truth be told? I was on some other stuff and headed down a dark path. The music saved me. Yes, my kids did that as well (and I'll discuss that more on Papa Speed's Boys). However, talking about my kids in a song or rapping about my anger, it kept me from doing a lot more than I probably would've without DAR behind me and DAR there to catch me when I slipped. Oh, what about the music, you ask? Well, the music was great. The beats knocked and the bars were precise. We all brought our A-game for this one. Check it out below and remember to support dope music in all its forms. And yes, there may be another Team DAR album/EP in the mix one of these days.